ATLANTA — Switch, the global technology solutions corporation that is POWERING THE FUTURE OF THE CONNECTED WORLD™, today announced its plan to develop a more than 1 million square foot PRIME Data Center campus in Atlanta to meet client demand in the Southeastern United States. 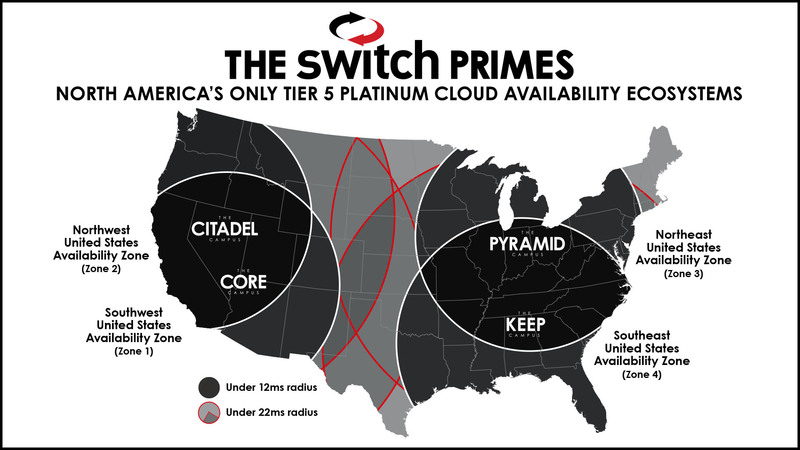 As the only carrier-neutral company in the world to design, build and operate Tier IV Gold data centers, Switch’s PRIME in Atlanta will bring the highest rated data center to the Southeast. Named The Keep, the Atlanta campus will become the fourth Switch PRIME campus located strategically throughout the United States. The current PRIME campus locations are Las Vegas and Tahoe Reno, Nev., and Grand Rapids, Mich. The Switch PRIME in Atlanta is projected to be several million square feet with two campus locations as the ecosystem grows. Switch PRIME locations are campus ecosystems that are over 1 million square feet and can be as large as 8 million square feet. The Keep Campus will offer clients the ability to operate in multiple Tier IV Gold data center environments on the east coast while remaining outside of natural disaster zones. Clients at The Keep Campus will also have access to Switch CORE, the best priced telecommunications purchasing cooperative in the world, selling services from over 50 carriers to Switch’s more than 700 clients globally. As part of its long-standing commitment to being a leader in sustainability, Switch is working with local energy providers to ensure its campus will be powered using 100-percent green energy from new, local, renewable energy resources. Additional development details about The Keep Campus and several anchor client announcements will follow in the near future.